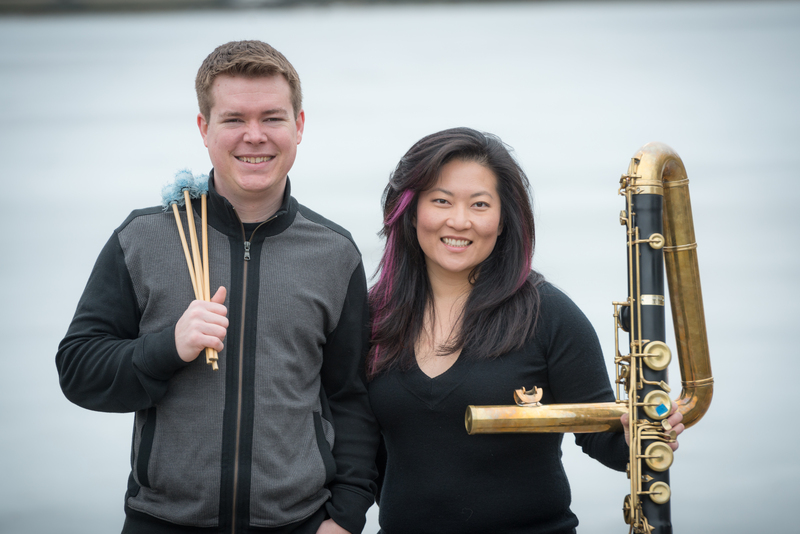 Known for their unique and imaginative concert programming (varying wildly in style and instrumentation from djembe and contrabass flute to Nintendo Gameboy and drum set), A/B Duo has been delighting their audiences all over the United States since 2013. Formed in Chicago, the bi-coastal duo (percussionist Christopher G. Jones from Rochester, NY and flutist Meerenai Shim from the San Francisco Bay Area) has commissioned numerous works for all kinds of flutes and percussion from Drew Baker, Zack Browning, Brooks Frederickson, Olivia Kieffer, Andrea La Rose, Ned McGowan, Carolyn O’Brien, Brendon Randall-Myers, Francisco Castillo Trigueros, and Ken Ueno, among others. “Things We Dream About,” A/B Duo’s rock and roll and Gameboy infused EP of compositions by Ivan Trevino and Matthew Joseph Payne was released in December 2013. The duo is currently recording a special collection of works to be released in 2016 on the Aerocade Music label. A/B Duo is probably the only chamber group to design their own video game. Echoloquacious: the game can be played at http://abduo.net.